This was supposed to be posted yesterday, but it's hard to get any work out of these people on the weekends. 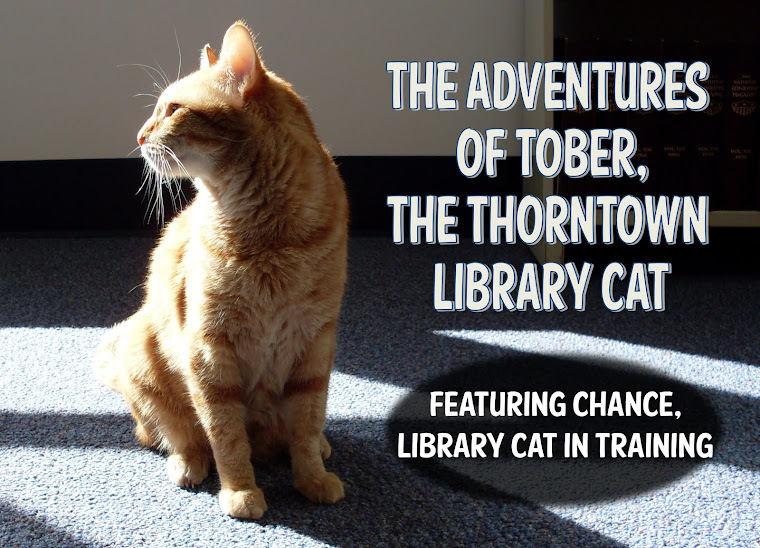 Resolved, that I, Boss Tober of Thorntown Public Library, do hereby proclaim the month of October each year, commencing in 2011 and each year thereafter, as Tober’s Finding Month in Boone County, Indiana (and the Whole World), and I encourage all citizens to visit me, pet me, comment on my Wonderfulness, and give me treats. Proclamations take an awful lot of Whereases. Whew! I should probably stamp it with a pawprint, but that involves ink. We did that once before and I said never, ever, EVER again. If you haven't read my blog in a few days, I suggest you begin reading this story from the beginning. If you have been reading. . . here's the thrilling conclusion of Festival of the Turning Leaves/Book Sale/Carpet Cleaning/Mess Week! Most Library ladies would have said, "Nevermind this parade. I'm going to get a barbecue sandwich and an elephant ear!" But not my staff. Nope, they're real troopers. They decided that they would hold the tree up during the ride over to the lineup, during the long wait for judging, during the whole Festival Parade! Lifting library books makes for really strong, tough, tree-holding women. About 15 minutes after this picture was taken, the parade float pulled out, and the skies opened. It rained and rained and rained on my library ladies, but they kept smiling and waving (to keep warm)! 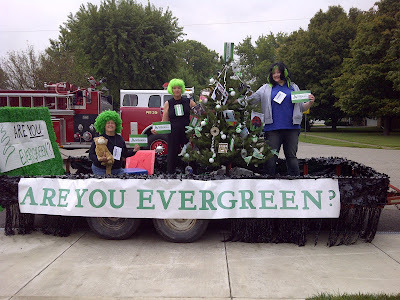 They thought they were off the hook for the Float idea theft until the Are YOU Evergreen float pulled onto Main Street. AABs Christine and Britta heard two very friendly-looking people say "We're from Mooresville!!!" and they waved and waved! Then one of them said "We saw a float like that in our parade!" So our Float was BUSTED. Twice! 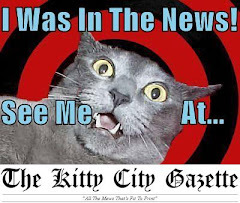 AB Karen sent an Official Apology to Mooresville Library's Boss, Diane (they have a human boss! ), who very graciously accepted. Libraries are very good about Sharing, I think. Our book sale made a whopping $900+ dollars--that's a LOT of Temptations, friends! And my staff came in Monday and put everything in its proper place. Except for that busted Evergreen tree. It's in the Dumpster. Lastly but most definitely not least, I would like to say a special Thank You to Nina and Gerald Caldwell. You see, we recently ran out of "deposit bags" here at the library. . . the special ones they use for my nightly maintenance, you know? So AB Karen called and asked these kind folks if they had any bags to Share. Now I can have even more treats! THANK YOU!!!! It has been an exhausting two weeks. . . but I'm super-duper excited about tomorrow. Do you know what tomorrow is? This is how I feel about the whole Turning Leaves/Book Sale/Carpet Cleaning/Mess Week. Which is fine, since I have Staff to do all the hard work! Last week was THAT week in my Library. You know, the week when the staff Ignores me, then moves ALL of my furnitures (including the toilet!!!! ), then lets Strangers with funny booties into my building, and then moves stuff BACK on the following Monday. 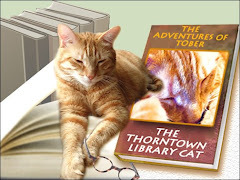 Festival of the Turning Leaves/Book Sale/Carpet Cleaning/Mess Week. So I knew something was up when I saw cutout letters and huge pieces of paper lying around. Am I Evergreen? Actually, I'm annoyed that all of this stuff is on my floor. Anyway, once they got the preliminaries for the Stolen Float underway, they decided to set up the Humongous Book Sale. This would have been helpful, except for the fact that the Very Nice Volunteers who showed up to help set up the sale really needed the signs that said stuff like fiction, nonfiction, VHS, etc. so that they could put things in the right places. Okay, I think I'd better pause my telling of Festival of the Turning Leaves/Book Sale/Carpet Cleaning/Mess Week right now. My pawpads are getting sore from all the typing and I really really need a snack. PS The harassing Stuffie, and most of his friends, have been adopted by loving families. Notice that my back is to the person. This allows me to push my feets against the back of the chair with all my might, ensuring that I have ample relaxation space. This also helps to make the person look busy and alert. She will thank you for this later. Let me know how your sharing experience goes! 6. And, last but not least, planning for festival parade float book sale carpet cleaning mess week. 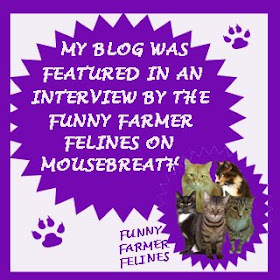 I can almost promise that I will have lots of posts later this month, because something about moving books and furnitures and making floaty parade floats inspires AAB Blog Helper to sit down at her desk and be a helpful Assistant. Maybe it's her way of shirking her Librarianly duties?